Adopting a book is a great way to support your library, recognize a friend or loved one, and give a gift to that person who has everything. It’s simple! Just fill out the form, check which collection you would like to add to and drop it off at the library. 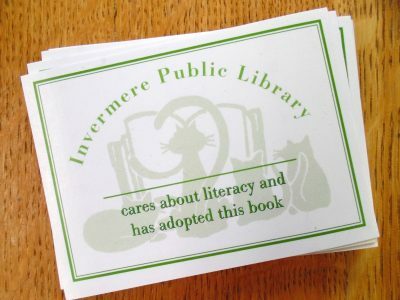 Click here for the Invermere Public Library Adopt a Book form.